"This is a steamed pudding of brown sugar, butter, milk, flour, dates, raisins, currants, and candied fruit peel. Serve it with custard, whipped cream or ice cream." This sounds great and I would really like to try it, but no where in the recipe does it tell me how to steam it. I think that knowing how to steam it would be very important. This recipe is amazing! 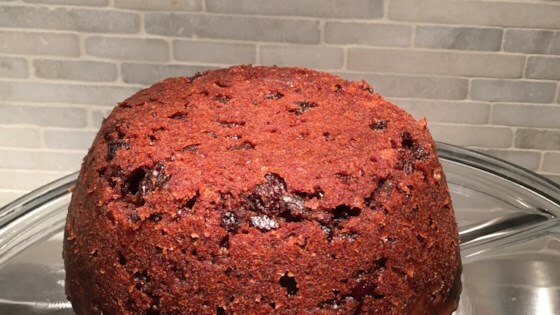 My dad loves plum pudding, so I have to make this every Christmas. Its become a tradition! Just perfect. Served with a traditional sweet white sauce. In Wales, we would even hide a sixpence in it. A fantastic, rich and authentic tasting dessert. Perfect for finishing off any Christmas dinner.